Most of us won’t have a chance to blast off to outer space and glimpse the beauty of Earth at night. 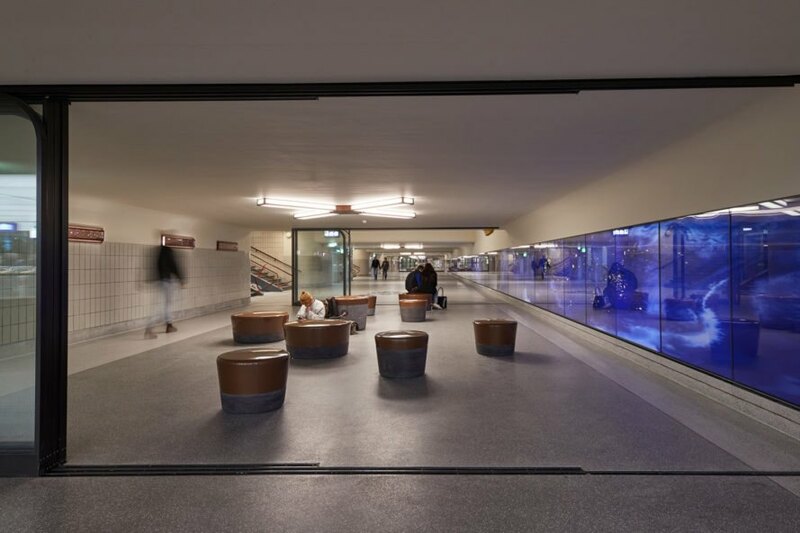 But designer Daan Roosegaarde’s firm Studio Roosegaarde brought that image of light and darkness to the Eindhoven Railway Station in the Netherlands. 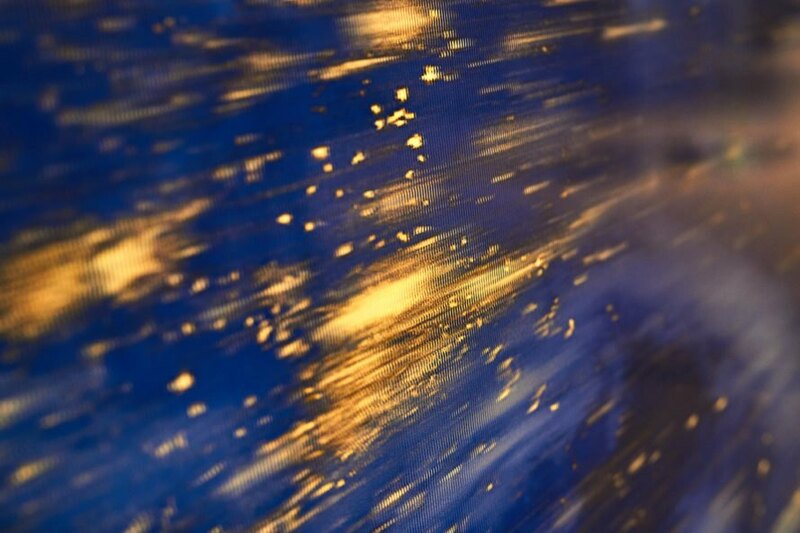 This new, interactive art installation, called SPACE, gives travelers the opportunity to, in the words of Roosegaarde, “experience a new dimension of light, just as an astronaut sees it in an orbit of the Earth.” Inhabitat spoke with Roosegaarde to hear more. People walking through Eindhoven Station will now have a good reason to linger a while. 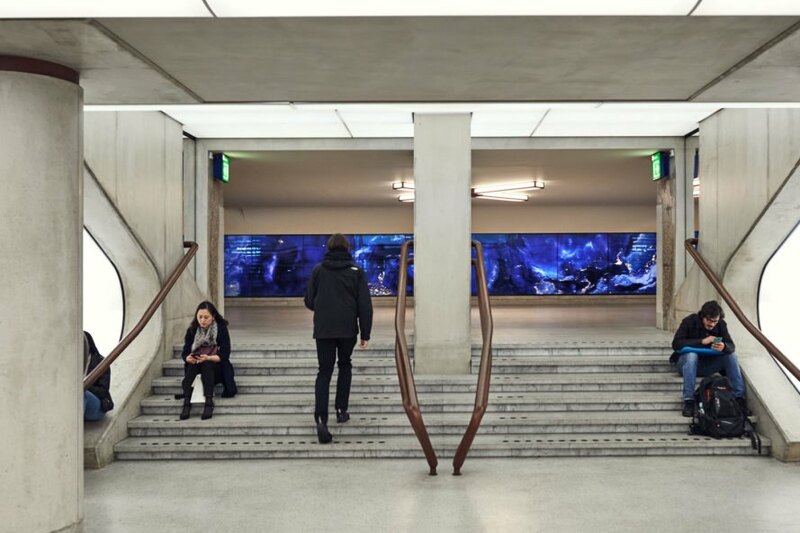 Studio Roosegaarde‘s SPACE illuminates a tunnel with a 90-meter, or 295-foot, artwork, drawing on NASA satellite imagery of the Earth. Roosegaarde told Inhabitat the piece is “about wonder, and bringing some silence and imagination in this busy train station.” SPACE is located where Eindhoven Station’s main entrance once was, before it was renovated, and the art installation was designed to add the feeling of more space as it enhances the architecture. The Studio Roosegaarde team opened Earth into one long strip, like you might peel an apple or orange. They digitally edited the NASA images into a composite 3D image. Using new technology, they printed images on special lenses to create the illusion of depth. Controlled LED lights brighten the artwork, providing contrast between places like North Korea and South Korea, or around the Nile River in Egypt. 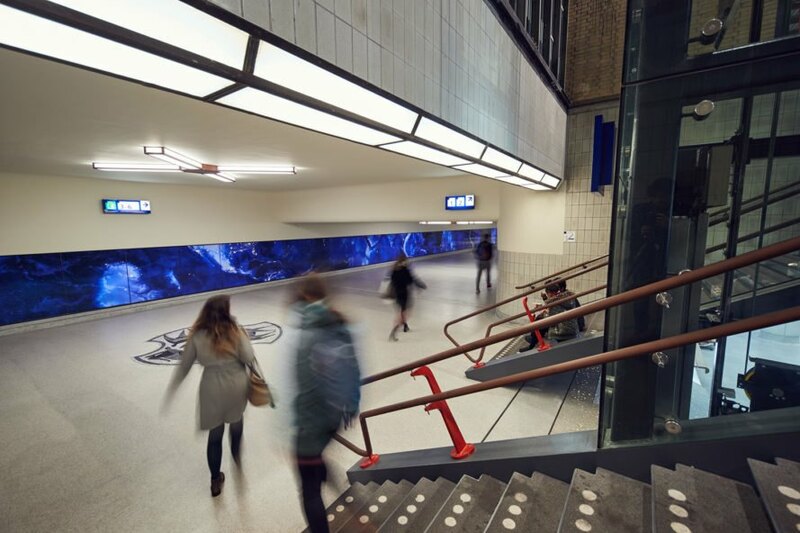 Eindhoven – which is the city of light – commissioned the artwork along with ProRail and National Dutch Railways for the train station’s restored passenger tunnel, which was designed by Luc Veeger of Arcadis. SPACE will be highlighted during Dutch Design Week, which will take place from October 21 through October 29. 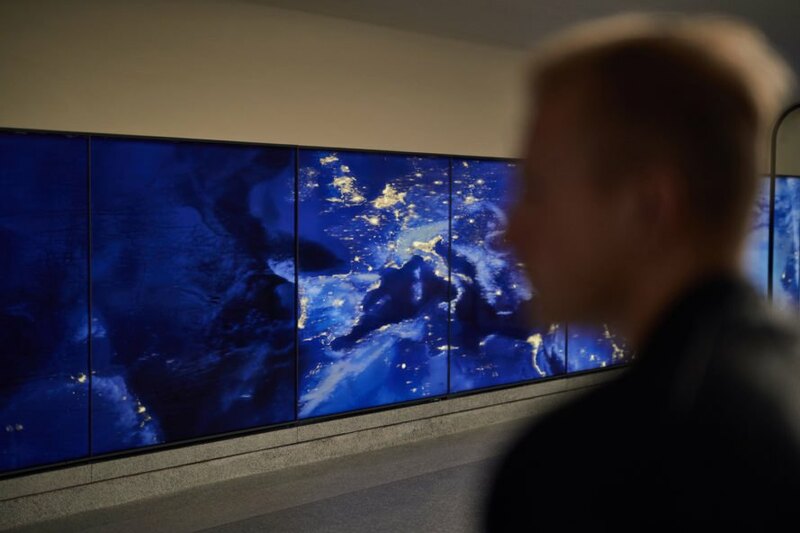 Studio Roosegaarde recently unveiled a new art installation. The artwork, SPACE, is at the Eindhoven Station in the Netherlands. SPACE is 90 meters, or 295 feet, long. Travelers walking through can reflect on Earth and light through the interactive art installation. LED lighting brightens the artwork. SPACE is in a tunnel at Eindhoven Station. 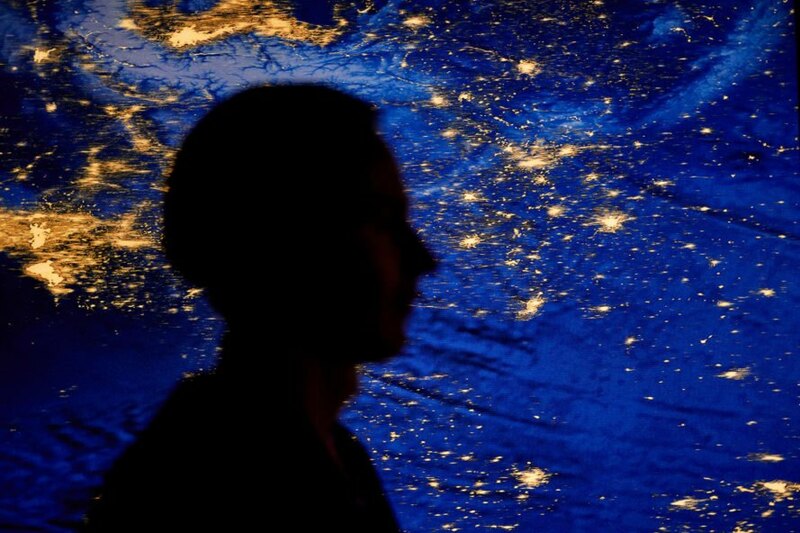 Studio Roosegaarde utilized NASA satellite imagery. Earth is peeled into a strip in the artwork. Studio Roosegaarde digitally edited NASA images into a composite 3D image. They utilized what they called a specialized printing technique on lenses. Eindhoven is the city of light, according to Studio Roosegaarde. Eindhoven, ProRail, and National Dutch Railways commissioned the art. 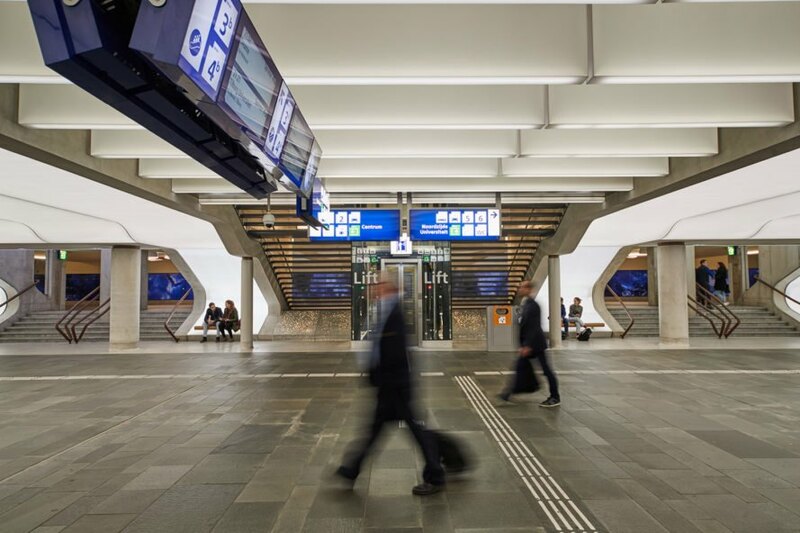 The Dutch National Railways Agency said SPACE "establishes a poetic link to the technical networks that connect us worldwide." The design will be highlighted during the upcoming Dutch Design Week. Earth was peeled like you might peel an apple or orange for SPACE. Most of us won't have a chance to blast off to outer space and glimpse the beauty of Earth at night. But designer Daan Roosegaarde's firm Studio Roosegaarde brought that image of light and darkness to the Netherlands' Eindhoven Station. 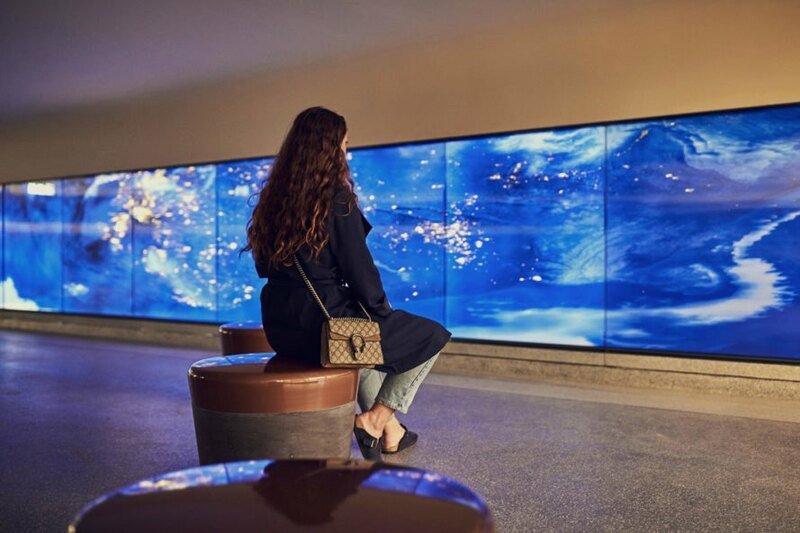 Their new, interactive art installation, SPACE, gives travelers the opportunity to, in the words of Roosegaarde, "experience a new dimension of light, just as an astronaut sees it in an orbit of the Earth."